Which Mouthwash Is Right For You? Like most aspects of dental care, there is no one-size-fits-all approach to selecting a mouthwash. There are different types of mouthwash that are appropriate for different needs. But what options are available? What makes them so different? And more importantly, which one is right for you? Let my dental office in Austin help. If you suffer from chronic bad breath and if you battle bacteria in your mouth often, perhaps in the form of an infection, there’s a specific mouthwash that may be appropriate for you. We call this type of mouthwash antiseptic mouthwash. What makes it so good for fighting bad breath and infections? It contains chlorhexidine gluconate, which helps fight off and kill bacteria. This not only helps protect the mouth, it can make bad breath a thing of the past. Use it sparingly as too much can cause tooth discoloration. Like antiseptic mouthwash, cosmetic mouthwash options are effective at freshening breath, but that’s about all they have going for them. 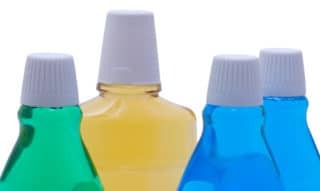 Cosmetic mouthwashes are best paired with proper brushing and flossing, and used only for the extra burst of freshness. This type of mouthwash doesn’t have any properties to help protect against bacteria or decay, or to strengthen teeth. Have you been told that your teeth don’t get enough fluoride? Then a fluoride mouthwash may be something to consider. Fluoride mouthwash contains, you guessed it, sodium fluoride. Sodium fluoride is used by dentists to help build up and strengthen teeth as well as protect enamel from decay. Many people already get enough fluoride through their water, toothpaste, or at dental appointments, so a fluoride mouthwash isn’t right for just anyone. Talk with your dentist in Austin to see if it may be appropriate for you. Whichever mouthwash you select, it’s important to note that mouthwash is not a substitute to regular brushing and flossing. Mouthwash should be used in addition to a proper at-home oral hygiene routine in order to maximize its benefits. If you’re looking for guidance on selecting the right mouthwash for your specific dental needs, give our Austin dental office a call. We’ll be happy to talk with you about your concerns and suggest the most appropriate mouthwash for you. Accepting patients from Austin, Westlake, Cedar Park and the surrounding areas. 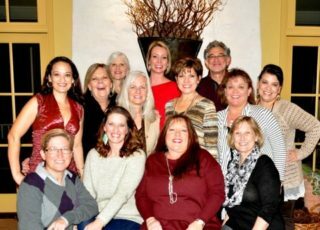 Happy New Year from the 12 Oaks Dental Team! Happy New Year! Welcome 2017! 2017 is upon us! With that comes the annual dilemma, New Year’s resolution or just wing it. Every year the team at 12 Oaks dental prepares to succeed in the new year by choosing ONE WORD. One word that we can carry with us throughout the year, to motivate and inspire us. New Year’s Resolutions are so often forgot or fizzle out by as early as February 1st. One word is memorable, it’s personal, its obtainable. A great reference is the book “One Word That Will Change Your Life” written by Dan Britton, Jimmy Page, and Jon Gordon. We read this book as a team and it influenced us all to implement it into our work and personal lives. Jon Gordon appeared on the Today Show to explain the One Word theory and how you can motivate yourself in the upcoming year, check it out! http://www.today.com/video/today/53957503. We look forward to hearing your one word in what is sure to be a great 2017!